It's been another wonderful week of reading and busyness around these parts. How was your week? Bookish? Fantastic? I hope so! Today is my son's 15th birthday. Sigh. Where have the years gone? Happy birthday Carter! My youngest daughter, Avery, turned 13 in March. It's officially a teenage zone at my house. Ack! 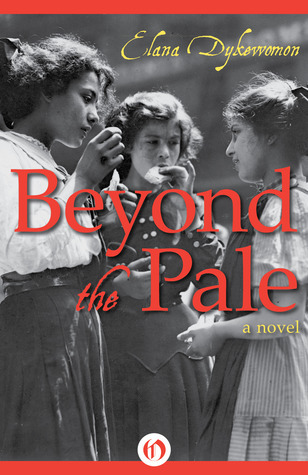 My pal Kelly asked me to guest post on The Well-Read Redhead, wasn't that the nicest? I'd appreciate it if you'd head on over to check it out. Thanks! 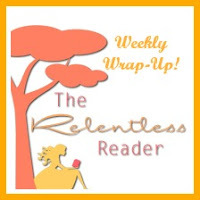 The Relentless Reader will be featured on Book Bloggers International on Thursday the 27th. Have a lovely week my little chickadees! Ooh, I know what you mean about the passage of time...Love your kids' names. Enjoy them...before you know it, you might have grandkids that age! lol My oldest two grandsons just turned 18. Thanks Laurel :) I have an even older daughter named Danielle...I don't even want to say how old she is, ha ha. Oh, it's great, Jennifer....enjoying them and then sending them home! Looking forward to seeing what you thought of A Masque of Infamy. The toddler years nearly killed me so this SHOULD be a breeze, ha ha. Congratulations on your son's birthday, and reading some very interesting and inspiring books, as far as I can tell. Enjoy them! Thank you Bettina :) I've had a great week in books! Teen world is a dangerous and confusing world ;) 8 year olds, yikes! LOL, you never know what to expect with them! Happy birthday to Carter! It's teen zone here too with two 13 year-olds. Ack! 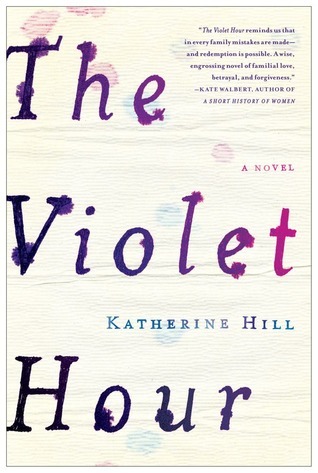 The cover of The Violet Hour is so pretty! I want. :-) Happy reading. LOL, thanks! I need it! Happy birthday to your son. I suggest you hide in a book for the next 10 or so years given my experience with teenagers. Thanks Barbara :) That's the best advice I've ever received, lol! Happy birthday to your son! I have four more years until my youngest hits her teens, but I don't know if I have four more years before she starts acting like a teenager. Yuck! I'm in the process of reading THE FIREBIRD right now. Definitely pleasantly surprised at how much I am enjoying it. Susanna Kearsley has done her research, so I'm very impressed. I was completely surprised by that book. To be honest I wasn't looking forward to it! Guess what? I liked it! I liked it quite a lot in fact. I feel the same way re: THE FIREBIRD. I was not looking forward to it but am now anxious to finish it because I'm so interested in the story. A great surprise. It's the 2nd in a series. That's one of the reasons I was skeptical. Luckily it worked as a stand-alone! Have a great week! I'll be checking out your guest post too! You can borrow them tomorrow! I'll put them on a bus! You are SO nice to say that! My next birthday will be the big 4-0 and I also have a 21 year old daughter. I FEEL 80, ha ha. A house full of teenagers is terrifying (to me at least). My nephew just turned 12 and his 'tude has grown its own ego, I swear. Lots of great books! It is sometimes terrifying! They used to really like hanging around with me. Now? HA!! Many happy returns of the day to Carter! Enjoy these years... all too soon they'll be grown and heading off to college. (Like mine is, this fall.) Oh -- just spotted your reply to Suzanne about your older daughter, so perhaps you've already been through the leaving-for-college or striking-out-on-their-own bit? Aww, happy birthday to your son! My two are still little, 8 and 6, but the years have gone by fast. I know those teenage years will be here before I know it! Ow wow you did some great reading. 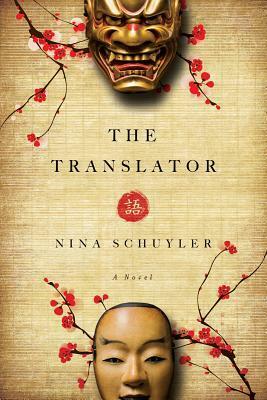 Am curious what you will think of The Translator. I did not request it in the end but it does look interesting. Thanks Ciska :) I'm really looking forward to The Translator. I have high hopes! My oldest son turned 16 last week (the other is 14) - teenagers indeed! We'll have to survive through the next few years and hopefully then things get calmer! I see you have a good stack of books. The Violet Hour looks like a possibility to me. I am trying to not read Goodreads reviews of books on my TBR as I sometimes get swayed into shelving a book aside that I might have enjoyed, so don't listen to the negativity on that book. Have a great week! Thanks Rita :) Different, that's a good way to put it. I really should steer clear of reading Goodreads reviews as well. I should stick to bloggers that I trust and/or have the same tastes as I do. The reviews on GR are incredibly subjective. Lots of great books on your reading list, I hadn't heard of The Violet Hour but it sounds like something I woulds like so it's on the wishlist now. I'm a huge fan of Susanna Kearsley but I still haven't read The Firebird yet, glad to hear it's good :) Happy reading this week! Hope your son had a nice birthday! I'm off to read your guest post as I wasn't able to earlier. Always great to celebrate Family ! Enjoy and your reading - won't catch up til July - already ?!! It is, you are right :) July will be here and gone before we know it! It's like The Twilight Zone, only scarier! ;) Thanks Marce! Great week for you. ENJOY!!!! Wasn't it fantastic?? I get to meet the author tomorrow night, yahoo!! The Violet Hour looks intriguing. Happy birthday Carter!!! Almost driving!!!! Is that scary??? Thanks :D Yes, that is extremely scary! I think he'll be fairly cautious because that's the kind of guy that he is. But lack of experience makes me nervous! I have to read Ordinary Grace! SO many books! I like the cover of The Violet Hour - haven't heard of it before but it's definitely visually appealing to me! It's lovely isn't it? Sadly I'm reading it on my Kindle so I can't really enjoy the pretty cover, lol. Thanks! I'm looking forward to having more grown up children as well, lol. My oldest is 21 and while I miss her I'm glad she's flown. I'm sure you know what I mean! I enjoyed The Firebird a lot and it worked well as a stand alone, thankfully! The years seem to fly by when birthdays come and go. We seem to forget to embrace the present at times, don't we, because of all our stress! Happy Birthday to him. The cover of The Translator is freaky, I hope it's better on the inside =) Here's my memes post today! LOL, that cover is a bit freaky isn't it?? The Violet Hour sounds good and I love that cover! It looks like you had quite a busy week!! :) Fantastic choices!! This week is shaping up to be even busier, as far as bookish things go :) Thanks! The Violet Hour looks promising! It's an interesting book, definitely. Impressive. You are indeed The Relentless Reader! ;) Myself, only managing about a book a week while Under the Dome ... haha. LOL, I thought the name was quite fitting ;) Under the Dome is giant. During the first half I tried to read a few other books at the same time. It didn't go very well. During the 2nd half I read it exclusively. The Translator looks good. Hope you enjoy it. Happy Reading!